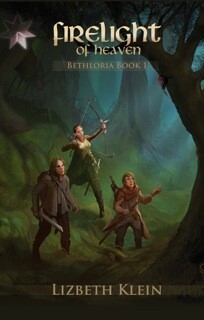 I’m a great fan of fantasy novels, and I was lucky enough to come across Lizbeth Klein, author of the Bethloria series. With a background in teaching, Lizbeth is well placed to know exactly what fascinates children. 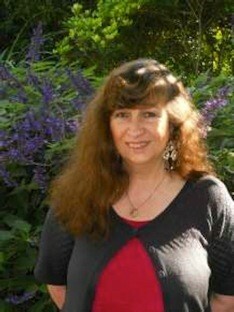 She’s also an experienced writing tutor, and has mentored several children through the writing of their own works. She was kind enough to agree to be interviewed for my blog. I am a trained primary school teacher and have had 19 years’ experience in the classroom and 7 years as a tutor of English with both primary and high school students. 2. Have you always wanted to be a writer or is it an interest that developed with time? No, with me I have always wanted to write stories from an early age. I was forever creating adventures and daydreaming about them at school. Only much later on did I have the inclination to actually write them down, and mostly by hand back then. 3. What do you find most rewarding about teaching / tutoring children to write? The reward comes when I see how they start to take ownership of their stories and want to write it themselves. Sometimes we take it in turns and write a sentence each until they’re happy to write it all. Then I just assist with dialogue, paragraphing, grammar, etc. Aspects of writing that naturally surface from the flow of their ideas. It doesn’t happen with all of them and some may even forget things, but there are others who excel and write wonderful stories. They begin to succeed at school, too. 4. Do you have any tips for parents who wish to encourage children to write stories? Encourage them to read. Read what they love and are interested in. Visit libraries and bookshops often. Join holiday workshops with authors at libraries. SCBWI (the Society for Children’s Books Writers and Illustrators) http://www.scbwiaustralianz.com/ have great kid’s days out, where kids can partake in writing activities. Join online workshops and competitions. Kids always win something in these, even if it’s a certificate. They’re so encouraging. 5. What genre do you write in and what draws you to that genre? The genre I love most and have loved since a child is Fantasy adventure. I’m writing now what I wrote back then. As long as I can remember, I’ve loved Elves, Fairies, mermaids and similar creatures of myth and fairytale. 6. You’ve recently launched your first book in the Bethloria series. Can you tell us a bit about it? Yes, it’s about two brothers, Dougray and Robbie, who must flee their farm after they’ve attended a secret night meeting where nearly everyone is killed. Their grandfather sends them over the forbidden mountain, where they’re tracked by soldiers and chased by Trolls. They are rescued by an Elf girl called Belle, who is on a quest to find the 7 lost crystals of the Morning Star. She joins them and together they journey through a tangled jungle called Gardenia, which is overrun by huge spiders. Basically it’s about them destroying the queen of the spiders, liberating Gardenia from a curse and locating the first crystal. As you can see, it’s fantasy adventure all the way through. 7. Where can people buy a copy of the first in the series, Firelight of Heaven? They can buy copies from my publisher, Wombat Books, at Berkelouw Bookshop, the Word Bookshop at Sutherland, Koorong, from me on meandhimk@ozemail.com.au. It’s $16.95 a copy. Anyone 10 and over will enjoy it. I’ve just completed book 4 in the series. I’ve been thinking a lot about how to start book 5. I’ve had ideas, but I haven’t written anything yet! I’d love to know whether she had an outline of an epic tale that would span 5 books before she put fingertips to keys. Wow! Just the thought of it is overwhelming. Hi, good question. As I’m trying to do a similar thing, I’d like to know too! Hopefully Lizbeth will get a chance to answer. Hi, did I say 5 books? There’s actually 7 in this series and I’m about to begin writing book 5. I’ve been plotting it out for days but I’ve had lots of interruptions. And yes, I do have a plan in my head and sometimes in an exercise book, too. It’s like a road map helping me to arrive at my destination. Thanks, Lizbeth, it’s good to know. I imagine without a plan your books would meander. Stella….fun interview and ooh even though I am full on adult of years, I think this would be a fun read. Thank you. I can always send you a copy if you’d like. Let me know.